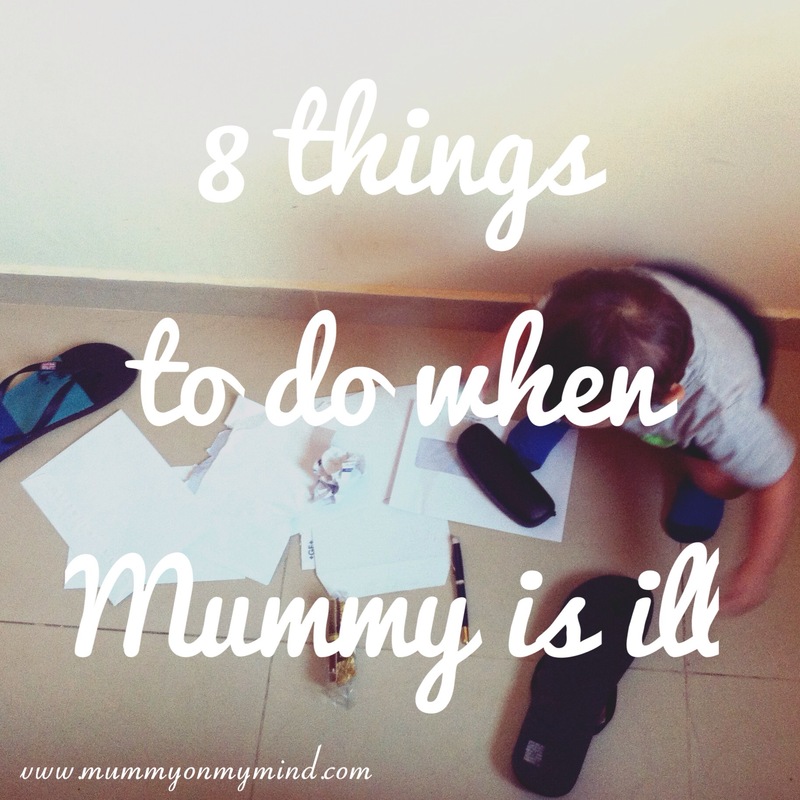 When your Mummy is feeling ill, follow the protocol below. 1) Wake up bright and early. You let her have a lie in yesterday, didn’t you? Also, maybe sleep at about 9 am, just to wake up 10 minutes later, with tears galore. That will really mess with her head. 2) When Mummy has her head in a plastic bag, ready to empty the contents of her poorly stomach, yank her hair and laugh hysterically. Don’t worry, she doesn’t have the energy to retaliate. 3) Refuse to be fed by Daddy. Then demand he only feeds you with a spoon, and then a few minutes later only with his hands. 4) Keep nap times short. There is a lot of work to be done! 5) Even though bath time is your favourite, today cry when you get put in the bath tub. Just because. Throw your toothbrush out of the bath for extra stroppiness points. 6) Throw toys out of the cot and all sanitary pads from Mummy’s drawers. Chew on those juicy slippers too! She will not be quick enough to catch you today. 7) Give Mummy extra cuddles at night time, play cute and laugh lots, so she forgives you for testing her throughout the day. 8) Repeat all the above tomorrow. Are there any additions to this protocol that your child wishes to add to this list? Feel free to mention it in the comments section below! Oh poor poorly you, hope you’re feeling better. Being ill with children is just horrible! My trick when sick one day was in my poorly addled state leaving the stairgate open and mid sick hearing a funny noise and realising that my son was over halfway up the stairs. Oops! Haha thanks! Oh gosh that must have given you a heart attack! These little ones like to keep us on our feet, eh?! Thank you… Yes, they sure do!! Yup, every little thing becomes ten times more difficult, doesn’t it? Oh yes I can relate to this too! Being a mummy is hard work at times when you’re feeling well let alone when you’re feeling poorly. Sadly as mums though we usually just have to grit our teeth and try to carry on as best we can. Hope you are now feeling better though. Thankyou, yes I am feeling better and couldn’t agree with you more. We super mums need to simply keep calm and carry on! Haha if only it was!!! Thanks for reading and glad you enjoyed it! Haha yh its a good thing we can look back at these dreadful times with humour! Oh this sounds very familiar…. haha!